Buttery and beautifully spiced, these ginger shortbread with molasses cookies add the beautify of simplicity to your holiday cookie plate. 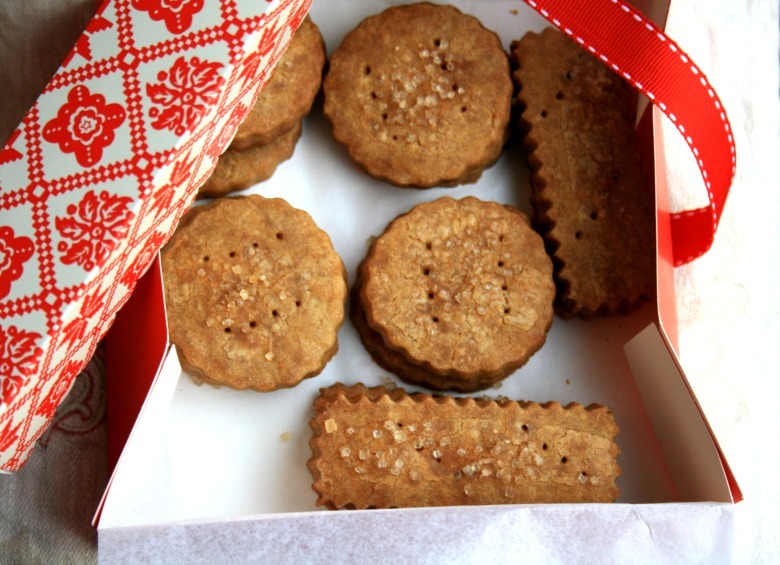 Ever since I was a kid one of my favourite holiday treats has been my mom’s ginger shortbread squares. Soft, buttery and loaded with candied and ground ginger they are the first thing I look for on a plate of Christmas cookies at my mom’s. 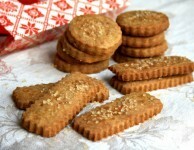 I never believed that they could be improved upon until I came across this recipe for ginger shortbread with molasses. 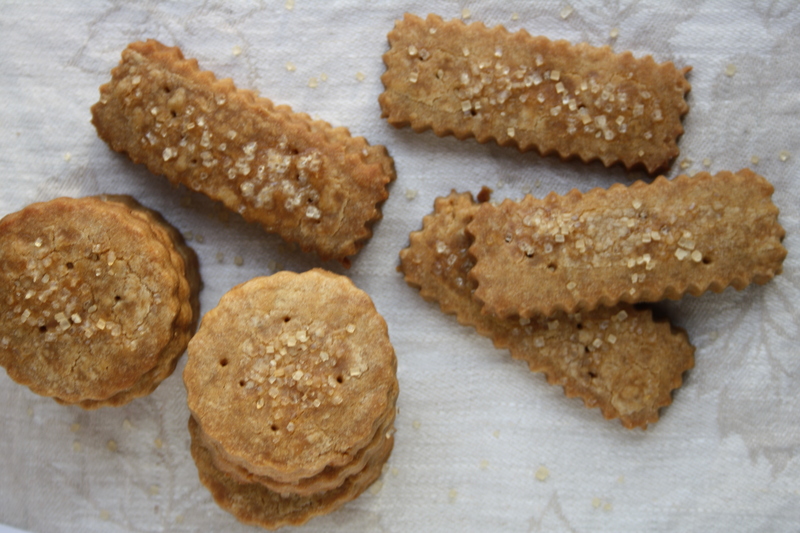 Adding a bit of molasses and a few more spices to a classic shortbread cookie makes them taste unmistakably like Christmas. 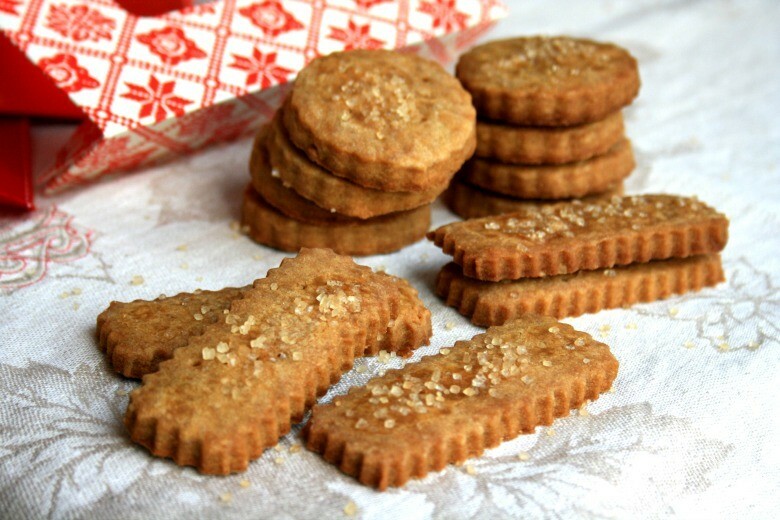 The simplicity of ginger shortbread with molasses stands out amidst all of the over-the-top cookies and squares that are often popular at cookie swaps. They may not look as snazzy as say, triple layer marshmallow snicker-doodle squares, but they are distinct in their own quiet way. 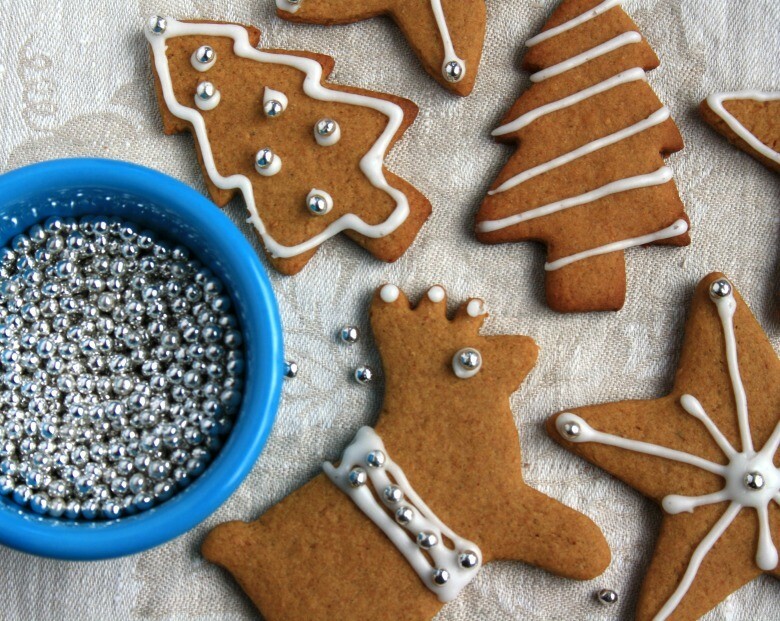 Not that a cookie can’t really teach life’s great moral lessons, but I do believe that simplicity is key to the true substance of the holidays. 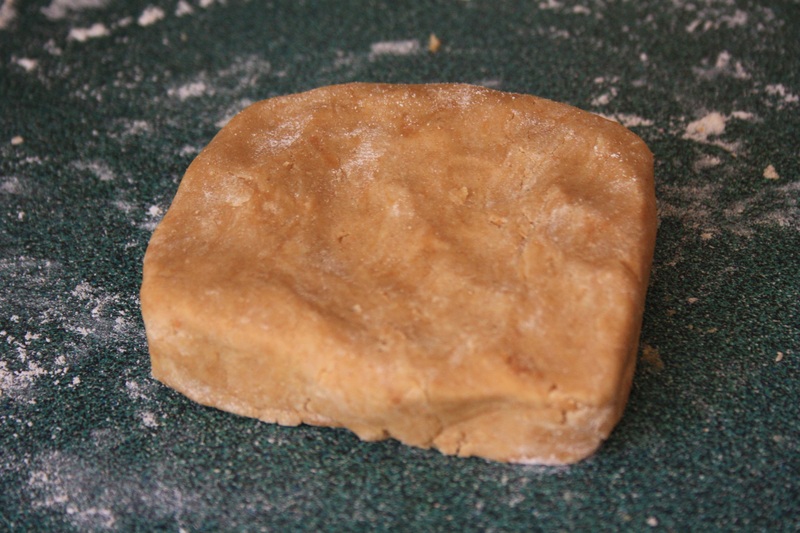 As with any shortbread cookie, I prefer to use my hands to pull the dough together after the butter has been cut in. That way the dough doesn’t get over mixed. One reader made the following changes tot he recipe, with great success: Double the powdered ginger and add some freshly grated ginger. Preheat oven to 325 F. Combine flour, powdered sugar, and spices in a large bowl. 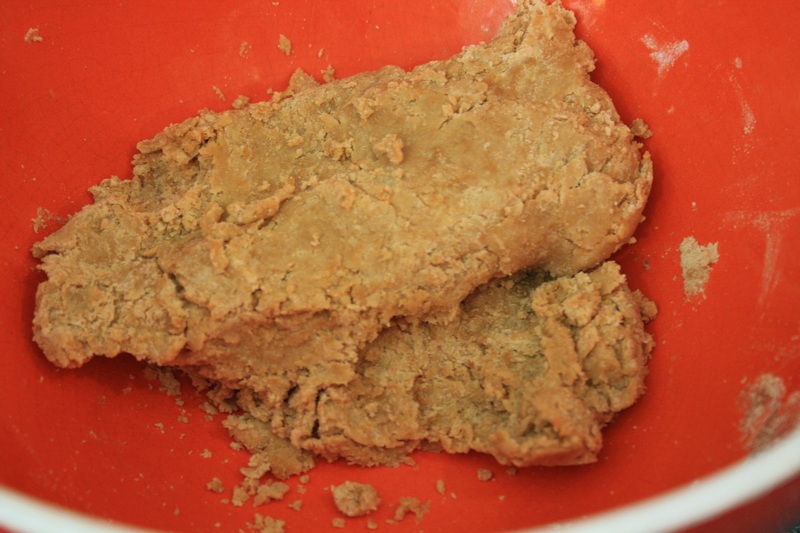 Cut in butter with a pastry blender or your fingers, until mixture resembles fine crumbs. With a fork or your hands mix in the molasses and candied ginger. 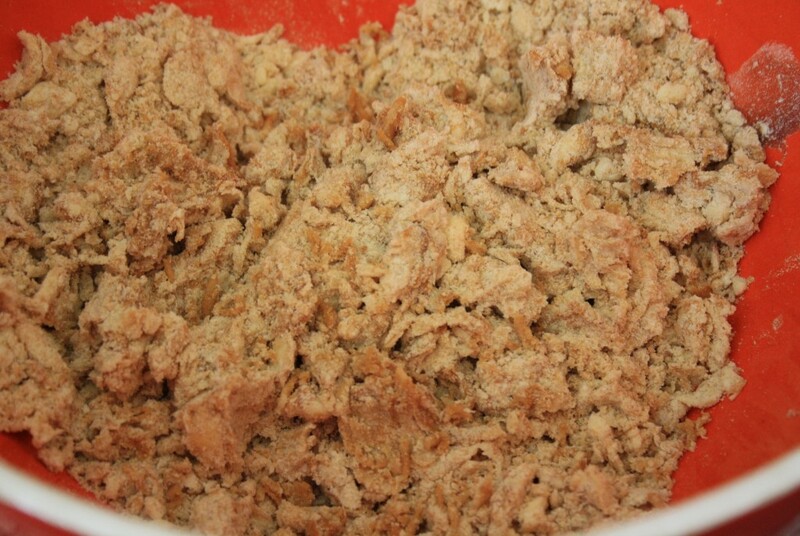 Knead until mixture forms a ball and divide in half. Roll ¼ to ½” thick and cut into shapes. Prick with the tines of a fork, brush with a little milk and sprinkle with granulated sugar. 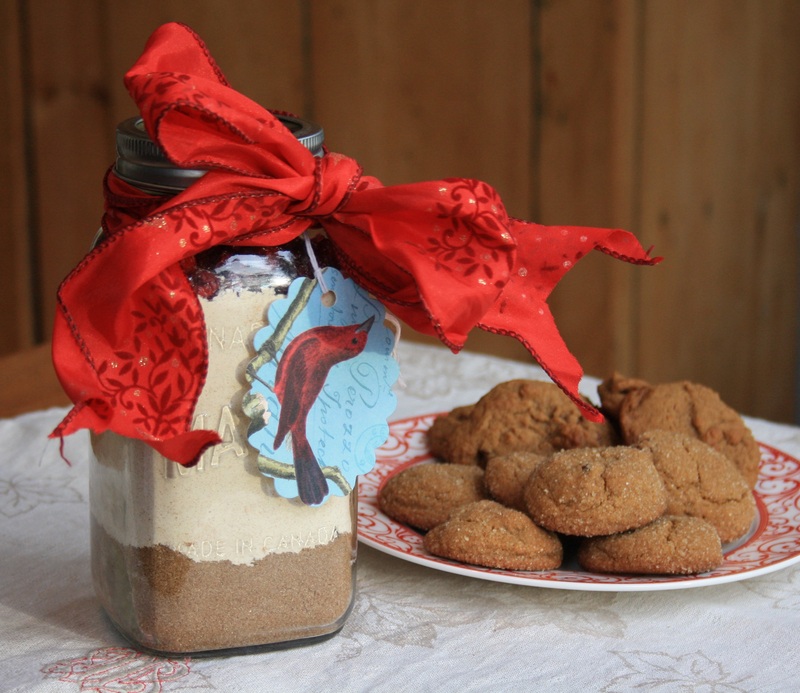 Crosby’s molasses has been used by my family for many years.When I lived in Halifax 23 years ago I was using it then too.Crispy gingersnaps, and sugared ginger cookies were two of my boys favorite cookies. I was using Crosby’s molasses way back. In wartime, Mom used to bake war cake with Crosby’s molasses. Great product-2 containers sitting on a kitchen shelf right now. I will try your molasses shortbread. Thanks for the recipe.Now I am baking for my grandson. Hi Irma, I love that you’re continuing the molasses tradition with your grandson. I hope that you enjoy the shortbread. From a women who’s grateful that some things don’t need to change . Thanks Shirley. Like you I love the old fashioned recipes the best. They’re simple and comforting and make such meaningful gifts. Merry Christmas to you as well! Hi, I just made the Molasses shortbread cookies and they are just wonderful. I will share this with everyone that i know. My mom has one of the Crosbys molasses cookbooks from when I was a child. This book must be atleast 40 or 50 yrs old and she still uses it even though it is worn out. Hi Carol, I’m so pleased that you like the molasses shortbread. And I love that your mom still uses her old Crosby’s cookbook. Would you like us to send her a new one? If yes, just email me with her mailing address (bridget.oland@crosbys.com). We’d be happy to mail you a copy of our Family Favourites cookbook. You should receive it within a couple of weeks. Hi Patricia, We’d be happy to get a copy of our book in the mail to you. Enjoy! Hi Misty, I hope you enjoy the shortbread. It’s a treat to have the molasses flavour in a buttery cookie. I’d like to get a cookbook. Hi, I would like a copy of your cookbook pls, my son grandmother used to make these cookies, love them. Hi Linda, We’d be happy to mail you a copy of our printed cookbook. Just email your mailing address to be (bridget.oland@crosbys.com). Thanks. Will try baking with Crosby’s molasses for the first time using this recipe. Might I also receive a copy of your free cookbook? Hi Lynda, We’d be happy to mail you a copy of our cookbook. Just forward your mailing address to me (bridget.oland@crosbys.com). Thanks. 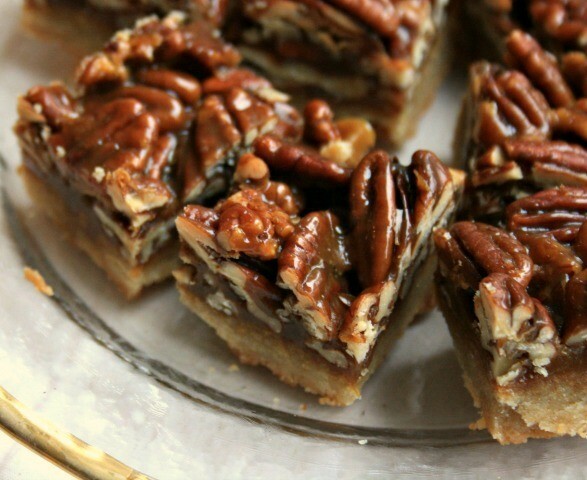 I can,t wait to make these. growing up in a family of 13 children we ate a lot of molasses and also baked with it. I would so love to have a recipe book also. Ready to make these and incorporate them in a peach truffle or some sort of peach desert. Can you imagine with home made peach ice cream?  Would love a cookbook…how can I get one? Thank you for this recipe! Hi Debra, Some fort of peach dessert with these ginger shortbread cookies sounds wonderful. We’d be happy to mail you a copy of our cookbook. In the meantime, please let me know if you make one of your peach ideas. These are very good! They’re not much to look at but the taste makes up for their simplicity. I was skeptical that 1/4 cup of molasses may make them more chewy than a traditional shortbread, but they were nice and crunchy. I used a 2″ biscuit cutter, rolled the dough 1/4″ thick, and baked them for 17 minutes until they were firm when gently pressed in the centre. I doubled the spices and didn’t find them overwhelming. The taste improves as the cookies age and the butter mellows. Hi Sadie, Thanks for all of the suggestions. Now I’m tempted to double the spices. Is there a significant difference between fancy molasses & cooking molasses? I used crosbys cooking molasses for these and found the cookies a tiny bit on the bitter side.. love the idea of combining gingerbread flavour in a shortbread style cookie though! Would I also be able to get your cook book? This recipe is amazing! I made this recipe but doubled the spices and added some fresh drained grated ginger. My husband took them elk hunting and sent me a msg via his satellite phone that the guys wanted more cookies. I would love to get a recipe book. I would love to gift one to my mom as she tried to explain to me how she used Crosby’s while they were growing up but it was only for a special treat because they were on a shoe string budget with 6 kids. Hi Bobbet, Thanks for the suggestions. More ginger, and fresh ginger, sound great. I’ll be sure to add your suggestions to the recipe. 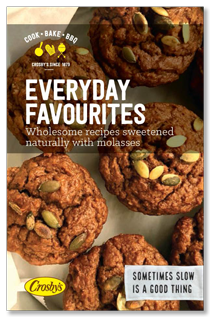 We’d be happy to send you a copy of our current cookbook, Everyday Favourites.